I had to stare hard at these two photos above to tell the difference, but slght difference there is. The plant on the left comes from my garden, while the plants on the right comes from a woodland bluebell grove nestled deep in the countryside, miles from the madding crowd. On the Spanish flower, the bells are all round the stem, not just on one side which gives the English bluebell its drooping stature. The leaves are wider and bigger. 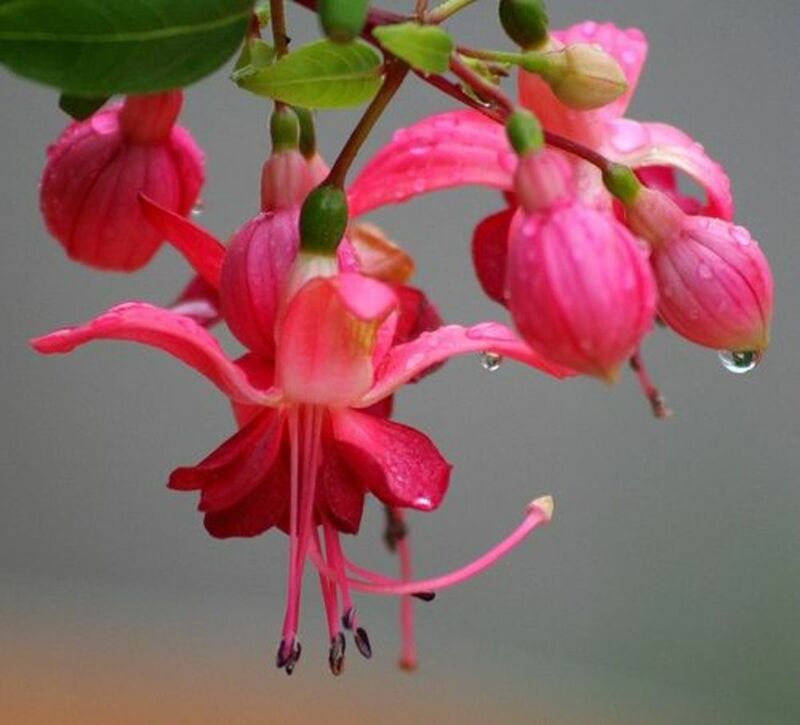 The petals of each bell open wider and flare at the ends rather than curl. The bells are slimmer on the English bluebell. The stamen is blue on the Spanish version, and yellow on the English one. The English bluebell is a deeper blue than the Spanish one, which is a delicate shade of pale blue. The English bluebell is stronger scented. The Spanish bluebell is taller. 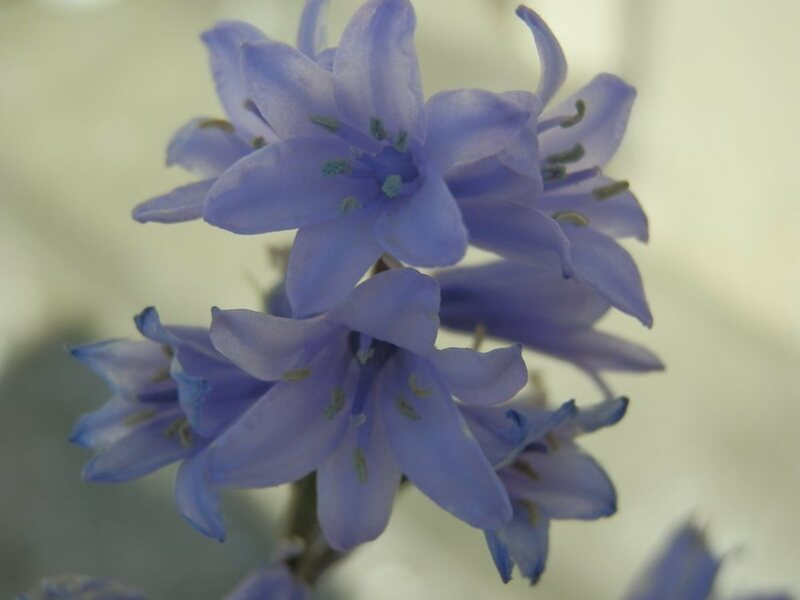 The Spanish bluebell can tolerate sunshine and happily grows in open spaces, whereas the English bluebell prefers at least partial shade and is never found growing in open spaces. Spanish bluebell flowers lift their heads towards the sun. English bluebells never do. Many gardens have a Spanish and English bluebell cross, which has some of the characteristics of each plant. The traditional, common bluebell - Hyacinthoides non-scripta - is a perennial spring wildflower common in Europe from Northern Spain upwards. The whole of the British Isles and Ireland were once carpeted with them, when the lands were mostly forest, which is where the wild bluebell grows. 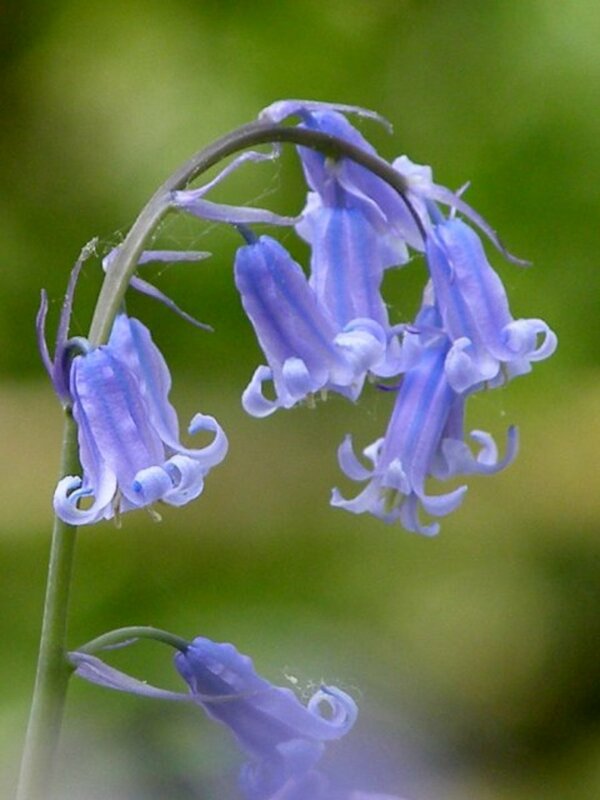 While it is often referred to as the "English bluebell" this is a name introduced probably only since the internet started, as before that people just called them "bluebells" or, occasionally "wild hyacinth". The Wikipedia entry for Hyacinthoides non-scripta states that in Scotland the name "bluebell" is reserved for the summer flowering harebell, and this is total rubbish. I have never, ever heard anyone referring to the harebell as a bluebell. Perhaps the writer got his information from city people who couldn't tell the difference between a daisy and a buttercup! The wild bluebell grows in wooded areas in shade or dappled sunshine, and flowers for about a month in early spring each year. They make wonderful cut flowers for the house, and their heady scent pervades the air, bringing the promise of summer. The common bluebell has naturalized in many parts of the US where it is an introduced species. 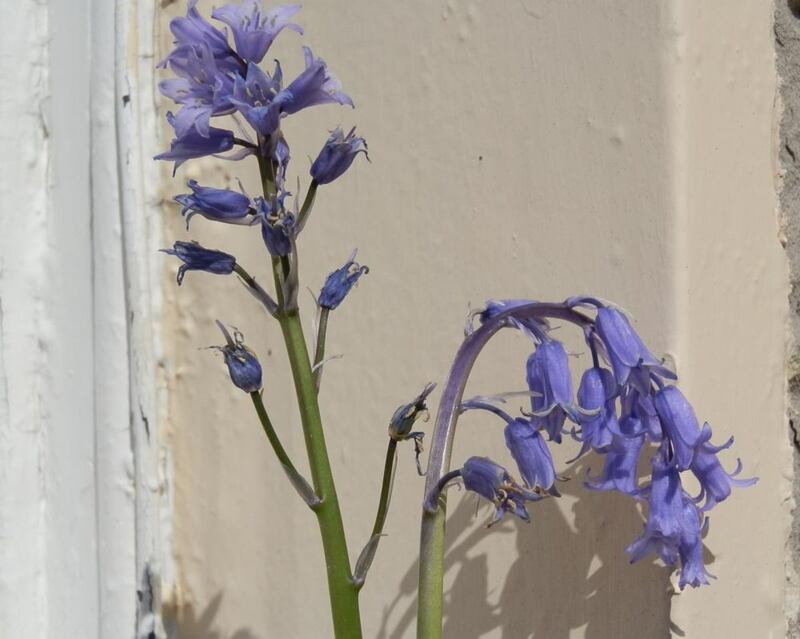 The Spanish bluebell was introduced into British gardens in the 17th century, so is hardly a newcomer. Upright, erect, colorful and with the ability to grow in full sun, the Spanish bluebell actually makes a much better garden flower. 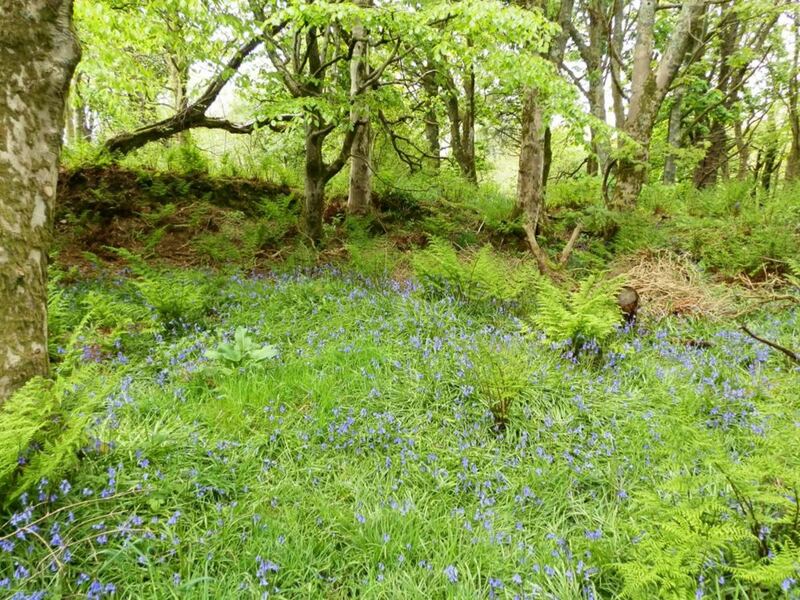 In recent years, botanists with nothing much else to do with their time have decided that the Spanish bluebell is encroaching on the wild bluebell population, and so must be eradicated. Luckily, most people are totally ignoring them, and continue to enjoy the annual display put on by the bluebell, no matter its nationality. A British government committee, who really should have been concentrating on important things like the economy, or the crime rate, decided to jump on the bandwagon and make it an offence for anyone to remove wild bluebell bulbs from the their natural habitat in the countryside. You'd be forgiven for thinking that Armageddon had arrived, all because the Spanish bluebells were intermingling with English bluebells, and were COMING OUT ON TOP! My garden is full of bluebells, Spanish, English and the SP/E cross which they have name Hyacinthoides massartiana which is too much like 'Martian' for my liking. They are NOT aliens; they are beautiful garden flowers that have some cross-breeding in their otherwise pure background. In effect, they are MULTICULTURAL bluebells. Nature does an excellent job of propagating bluebells. 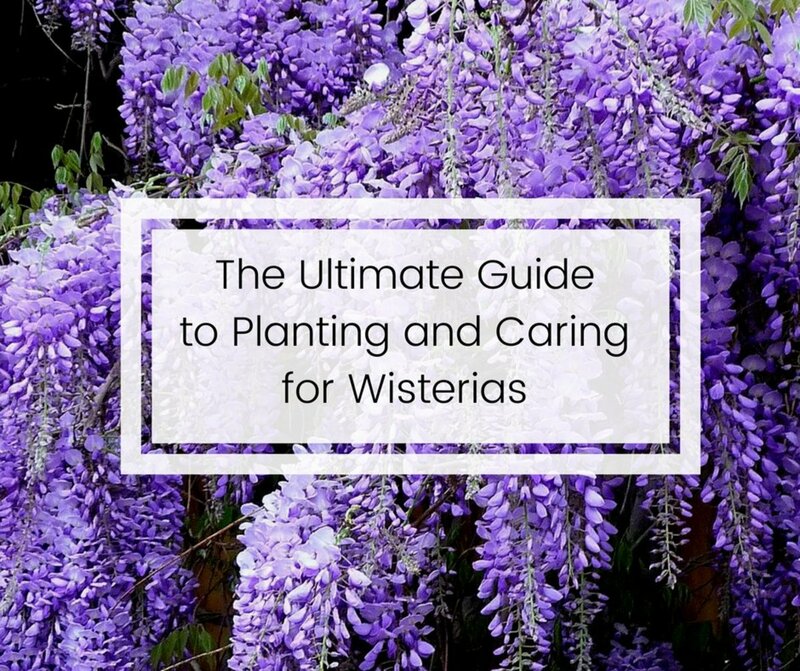 Each flowerhead, and there are literally millions in a dense bluebell wood, is packed with black seeds encased inside the dried sacs at the base of the flowerhead. 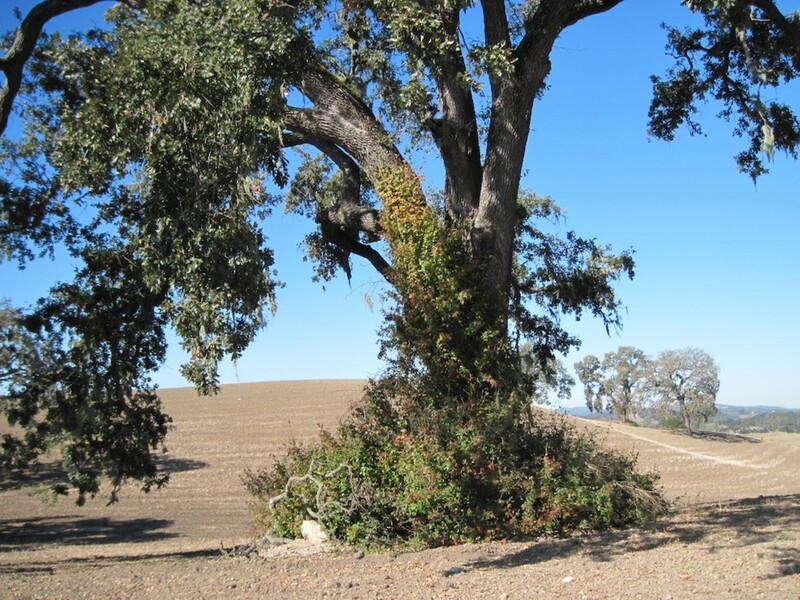 When they are ripe, the sacs opens and cast the seeds to the wind, or to the forest floor underneath. There, many seeds germinate and sprout the following year as a slender grass-like leaf. At the base forms a tiny bulb which gets bigger every year until it too is mature enough to flower. Other seeds become food for small forest foraging birds and animals, but those who survive very quickly help spread the new colony of bluebells. Meanwhile, each flowering plant sends out bulblets underground, which flower when they mature. In this way, one single bulb can very quickly colonize a large area, given the perfect growing conditions. The wild bluebell prefers the acidic but enriched soils found in forest floors. To grow bluebells, you will need either seed or bulbs, there is no other way to grow them, unless you are a scientist who knows how to clone them from a single molecule under a microscope. 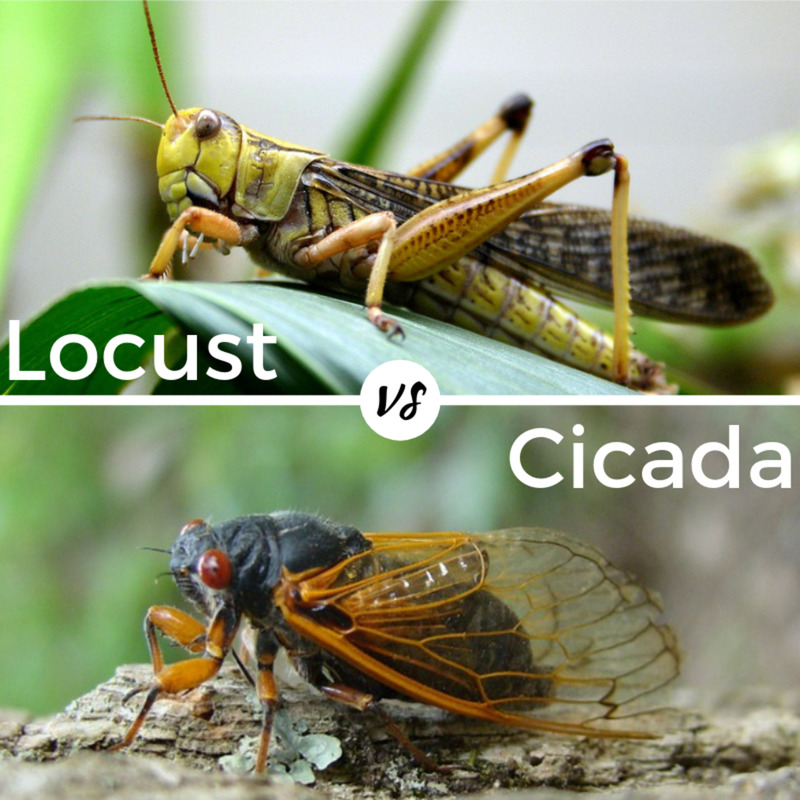 Wind or insects carry the pollen from one flower, and from one plant to another. The resulting seeds will grow into a hybrid cross should that pollen come from a Spanish bluebell. Because the Spanish bluebell is the more dominant species, the resulting flowers will show more likeness to their Hispanic parent than they do to their English parent. Scientists are worried that eventually the English bluebell will die out, as it's characteristics are slowly lost. 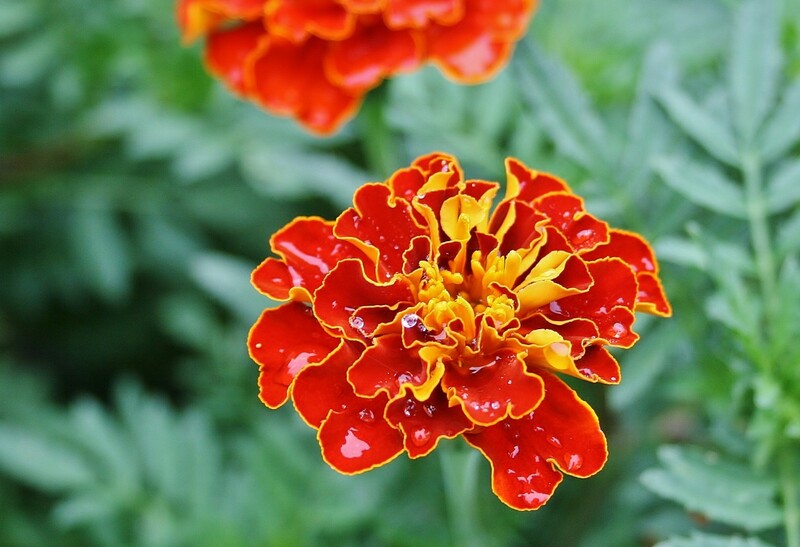 Each bulb reproduces to grow several more clones each year, and the new bulbs can flower in a much shorter time-scale than their seedling brothers. So, in effect, having a collection of pure English bluebell bulbs put by, or growing, in a protected area will ensure the continuation of the species. As bluebells grow best in deep forests, under the canopy of trees, and as man continues to destroy the forests, then it is possible that one day there will be no English bluebells left except in laboratories. But that is not about to happen in our lifetime, so we may as well just enjoy those pretty flowers as they are, Spanish or English, who cares? What can I do if a garden centre has sold me Spanish bluebells as English bluebells? I want the true woodland bluebell. This has happened twice. I am a Scot and have always lived in country areas in Scotland. Everybody I knew called harebells, bluebells . This is the Scotch Bluebell. We learned at school that the 'proper' name for them was harebell. We called Hyacinthoides non-scripta, wild hyacinths and learned that these were called bluebells in England. My husband from the West coast of Scotland always calls bluebells, harebells. Confusing for me as I’m English! How rare are white native bluebells? My Scottish highlander husband calls them harebells! 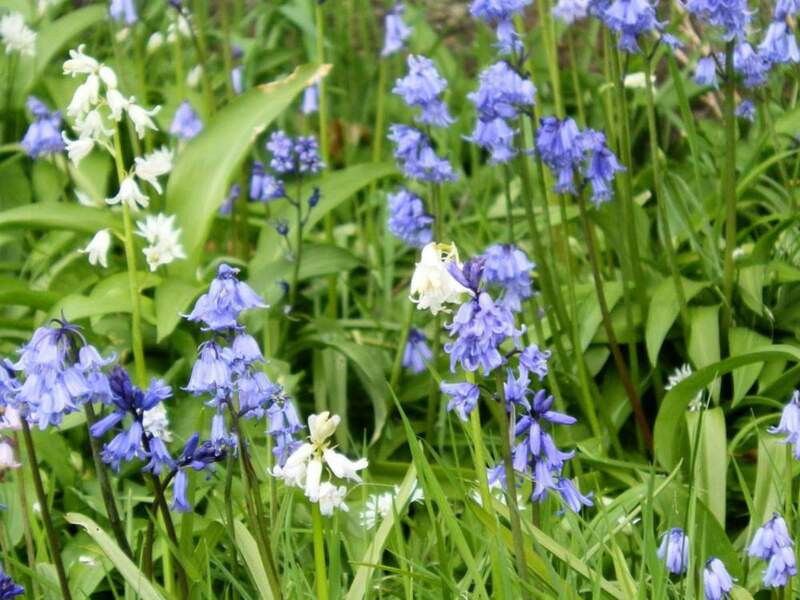 How rare are the white native bluebells? My father was Irish (Bn.1920s) and he always called our harebell a bluebell . 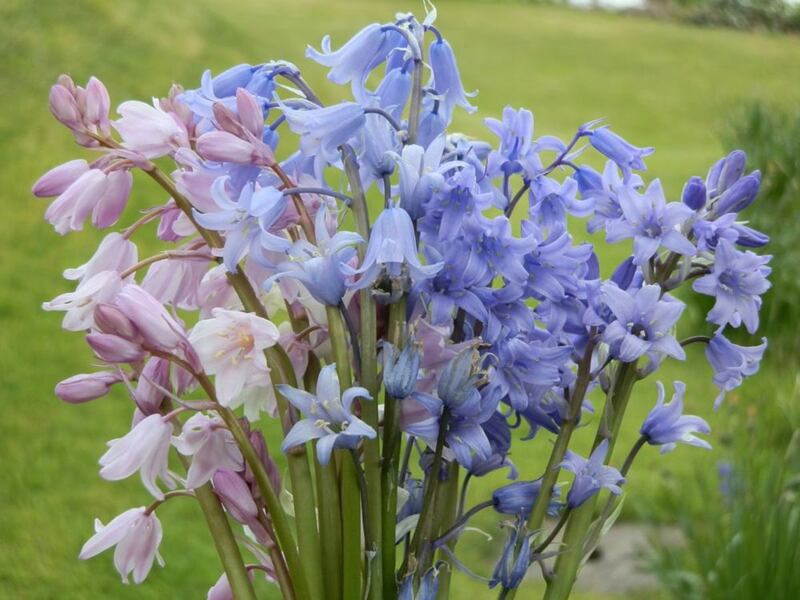 Thanks for this very informative post, great info on the two kinds of Bluebells. English, Spanish or Hybrid. That's what happens. That's evolution happening right now. My English son has married a lovely Spanish girl and their daughter, Carlotta, is a beautiful hybrid. What does it matter if the bluebells mix? As long as there are bluebells in the Spanish and in the English springtimes I will be happy. It's a good way to tell the difference for anyone wondering, as the wild bluebell's stamen is always yellow, and harder to see as you have to prise the petals apart. We saw several bluebell woods in Ireland when we lived there- they are so beautiful! I didn't realize the Spanish Bluebells were a different type - interesting that the stamen is blue!